Start time: 6:50 am | Walkers Welcome. Start time: 6:40 am | Walkers Welcome. No substitutions allowed and no late entries available! Registration (NUMBER and SHIRT collection): Friday 23 August 10:00 am – 6:00 pm at the YMCA Sports Hall in PMB, OR from 5:00 am at the Start Venue on Race Day. NO ENTRIES AVAILABLE AT REGISTRATION. Each distance is limited to 200 runners and entries will close when the cap is reached or at midday on Thursday 22 August. ASA licences are NOT required. Venue: Nelson Mandela Capture Site, R103, Howick. 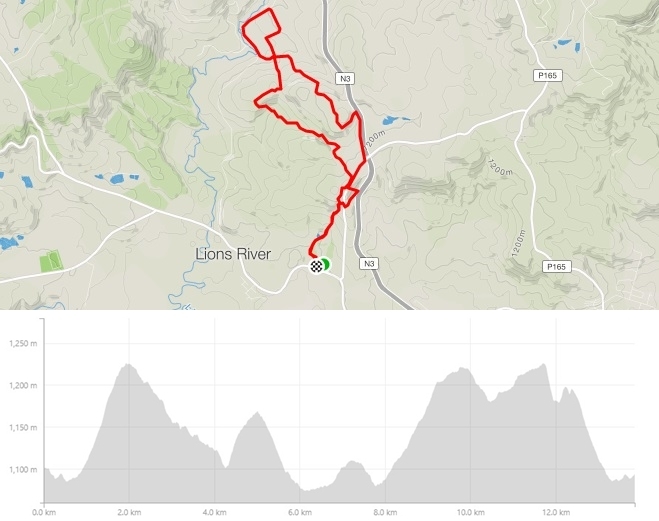 Outside of Howick, take the Tweedie offramp and turn left to Lions River. Continue straight to the R103 T Junction and turn right. The Mandela Capture Site is on the right a few km along the R103 and is well signposted.